TerraYebo, Inc is a for-profit business with a patent pending ground breaking technology to exclusively monetize every virtual inch of the earth’s surface - connecting people, places and causes. Users claim an inch, share their story and select a cause to benefit. For profit & nonprofit organizations use the platform to raise money, create recurring revenue & obtain valuable marketing analytics about buyer location, behavior and interests. Over a 20-year corporate career, Michele has been effectively and efficiently worked on the cutting edge of new technology deployments. Throughout her career she has been actively involved with humanitarian, religious, cultural and civic organizations. She holds degrees in graphic communications, business, and web design. 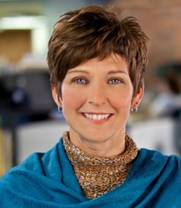 Michele serves as an Advisory Board member for Interactive Media at Baker College where she is an adjunct instructor.